Excel to CI uses macros in Excel extensively. So the macro security level in Excel would need to be lowered for this utility to work. Also, as it uses HTTP and SOAP, there isn’t the need of database connectivity unlike the Import Manager in older versions. Your PeopleSoft installation will have the Excel to CI utility in the Excel folder under PS_HOME/Excel. Excel to CI helps to import huge amounts of rows to a maximum of 65,000 rows from an Excel sheet structure directly into a PeopleSoft component. The one good thing is this utility being tied to the Component Interface makes sure most of the people code behind the Components gets fired. All the records associated with the Component get updated. So Compared to a back-end database update, this Excel to CI is a safe bet. Here we are going to see about the actions in an Excel to CI. There are 3 actions namely – Create, Update, Update data. The actions are available at the second tab of the Excel to CI, which looks like a Stylish Excel Sheet. Create action is used to a Create a New row. This is equal to the “Add” action of a search page. 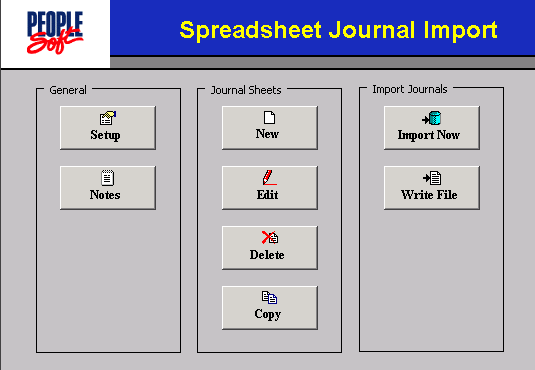 This is the widely used among the actions of Excel to CI. When you are adding thousands or hundreds of User profiles to a PeopleSoft System, you first tag a Component Interface (check if it is delivered or not) to the User profile Component, then form the Excel to CI Template. Now we need to add a specific number of rows so choose “Create” in the action text box. It is the first option in the top when the drop down is clicked. Do not get carried away by the name. Unlike the name, this action partly functions as a Create. It is the Second option from the top when the drop down is clicked. This is used to create/append new child rows. Before inserting a new child row it checks for the parent row keys. 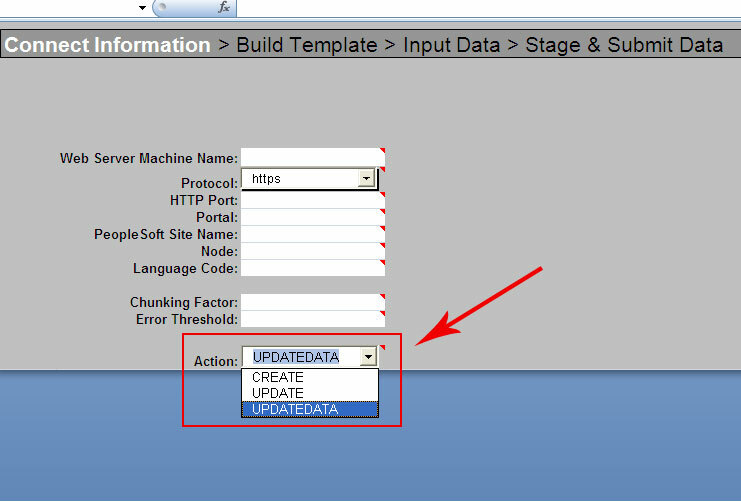 When you need to add an effective dated row under level zero parent or an additional address or secondary email, this Update action is used. This action functions as per its name. (Blessed indeed J ). It is the last and third option from the top when the drop down is clicked. This is used to update the non-key fields after checking the existing key fields. This action is used when you need to update an email address of some users, update address of some Vendors, and update phone numbers in a personal data component. Can ‘update data’ be used to update INTFC_FIN/ INTFC_PHY tables where we have a pending transaction? I keep getting unique constraint error. This could be because the change you are trying to make might be causing unique constraint violation. This could happen if you are trying to change a key value to one that’s already present.